The classroom is a mountain. The whiteboard is miles of short-grass prairie land. The bookcases are snow-capped. And the textbooks are fossils. The Georgia Highlands College summer field course trip to Wyoming in many ways is about moments that last forever in memory, in stone. 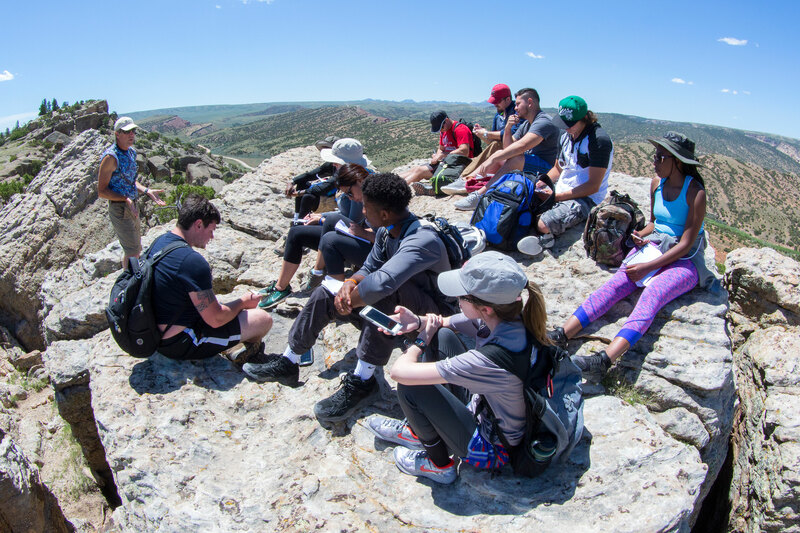 Associate Professor of Geology Billy Morris has been trekking across Wyoming with students for 20 years. The first trip was in 1997. He went to a conference in Seattle and met a geologist who helped him form the trip and serve as their guide. Morris on average has taken 12 to 24 students each year since the program started. 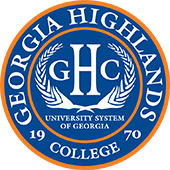 The trip starts at GHC two weeks before they head out, so students can learn what to expect, how to take notes in the field, and the basics of geology. Then the real trip begins. The group flies into Denver and then drives directly to the Front Range of the Rocky Mountains to visit Red Rocks Amphitheatre and the nearby Dinosaur Trail in the famous Morrison Formation. Then, they head north to Casper, followed by a day’s drive through Wind River Canyon and Thermopolis to Cody. After a night in Cody, they drive into Yellowstone and stay in cabins in a place called Canyon Village within walking distance of the Grand Canyon of the Yellowstone. They then work their way to Colter Bay Village before heading back to Denver. “It’s a geologist’s wonderland,” Morris said. He explained that Wyoming has good examples of all rock types, fossils, important surface processes and landforms, as well as every time period being represented. And Morris said no two trips are the same. The student went on to tell Morris that the reason he was asking was because he wanted to propose to his girlfriend, another student on the trip that year. So Morris helped the young man pick the best spot he could think of. The group took a 7-mile hike to the top of Mount Washburn, which flanks an extinct volcano and is one of the higher elevations in Yellowstone. Morris stops there each year to show his students. Morris says he plans on continuing the trip for as long as he can. He credits the students as the ones who motivate him to go year after year.